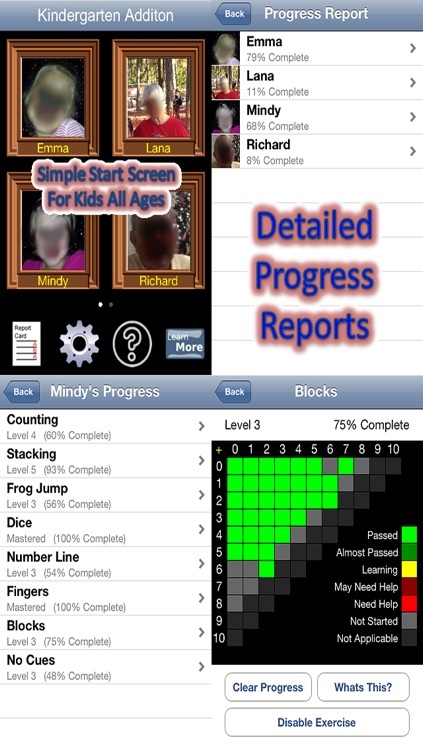 Get the app proven to teach addition to children! Kindergarten addition uses 8 different visual learning activities to teach and demonstrate addition in different ways so the student gains a deep and thorough understanding of addition. 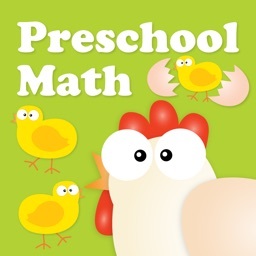 This makes the skill become inherent and builds a strong foundation for further math learning in the future. 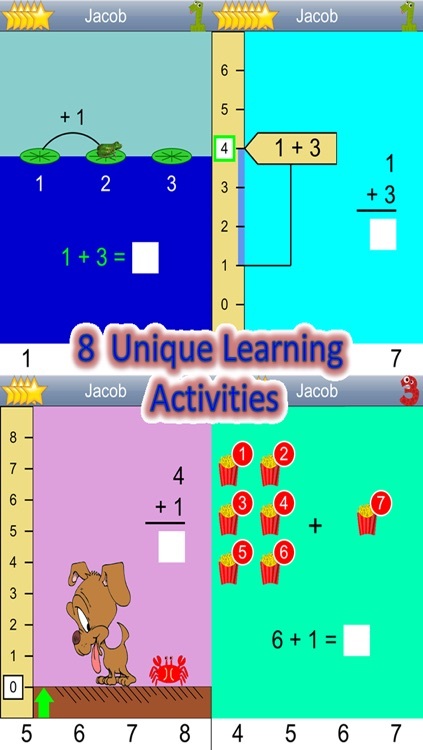 The eighth and final learning activity presents addition with no visual cues or hints so the parent or teacher can confirm the skill is mastered. 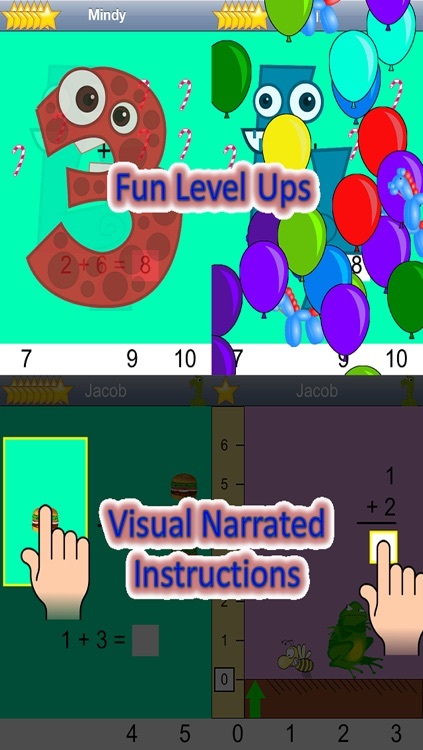 There is a simple start screen easy enough for children that haven’t started reading yet, and there are visual narrated instructions to all the learning activities. 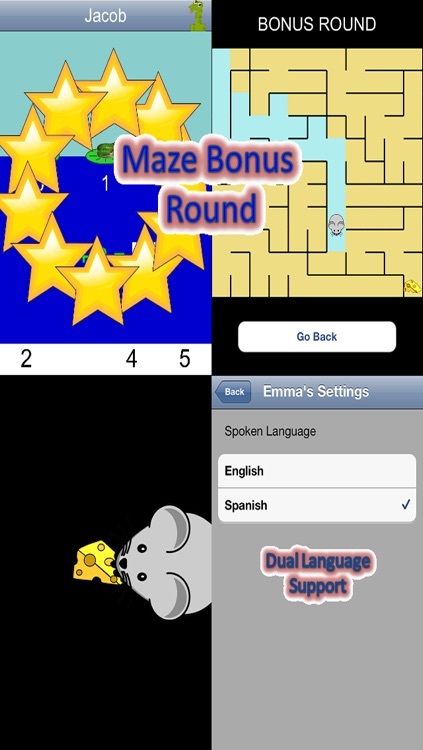 There is a bonus mouse maze stage for kids and there are very detailed visual progress screens for parents or teachers to see how their kids are doing. This application has settings for speaking in either English or Spanish. 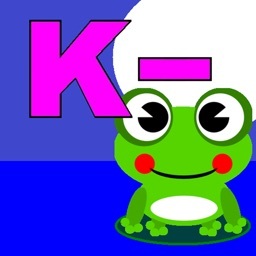 - Frog Jump Number Line. 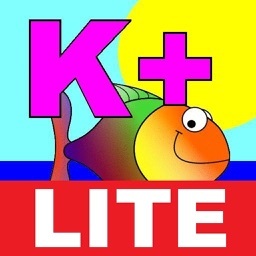 A frog sits on a lily pad over the first number in the equation. The student then counts the number of jumps based on the second number of the equation. The number the frog lands on is the answer to the problem. - Counting Fingers. Drawings of hands holding up the appropriate number of fingers based on the equation are displayed. The student counts the fingers to find the correct answer. - Ruler Measuring. A ruler is shown on the left of the screen. The student slides pictures of differently-sized objects next to the ruler to see the combined measurement. - Dice. Students count the dots on two dice. - Horizontal and Vertical Math Match-Up. Students match a horizontally written math fact to a vertically written one. When the two equations match, the correct answer is shown on a number line. - Block stacking. The student stacks color-coded blocks next to a number line. Once the blocks are stacked, the height of the blocks determines the answer. - Object Counting. 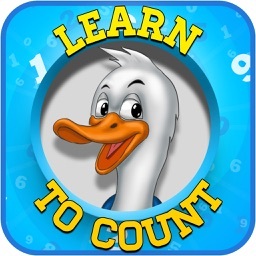 The student counts objects corresponding to the numbers in the equation on either side of an addition sign. As the student taps and counts the item, a number appears. - Final Exam. The student has to solve a math problem without any visual aids from the previous models. Students must choose the answer from a field of 11 (0-10).